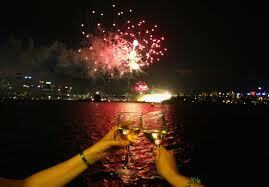 Cote Bonneville Archives - Write for Wine: It's Wine O'Clock Somewhere!Write for Wine: It's Wine O'Clock Somewhere! One of our favorite wine events in Washington state, Taste of Tulalip, is still a few months down the road, but the collaboration of wine and art is well underway. 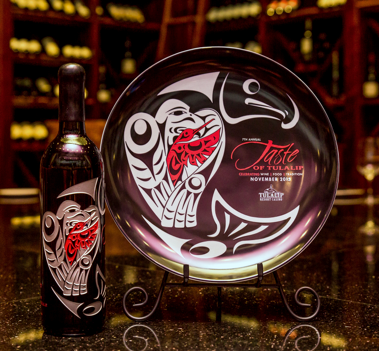 For the 7th annual Taste of Tulalip, Tulalip Resort Casino‘s talented wine expert, Tommy Thompson, and the event’s 2015 honorary winemaker, Kerry Shiels of Côte Bonneville, have created a unique blend of wine sourced from DuBrul Vineyard grapes — 80% Cabernet Sauvignon, 10% Merlot and 10% Cabernet Franc. Côte Bonneville is known for wines that are “age worthy and food friendly.” And we can’t wait to taste this special wine, particularly because both of our palates favor Cab-based Bordeaux blends. The 2015 Taste of Tulalip takes place November 13-14. This exclusive wine, in the breathtaking commemorative bottle, will be introduced during the November 13th “Celebration Dinner.” It will be available for purchase in the event’s wine shop during the festival weekend. Tickets will go on sale in August, so mark it on your calendar now – tickets go quickly to this fantastic weekend event.